Children play for fewer periods than they did before and nowadays it is easier to find a child glued to a screen than it is to see them playing in the outdoors. A child requires engaging in physical activity for an average of one hour on a daily basis for them to be fit. They also get to have healthy weights in the process as they forge social connections. Unfortunately, the number of children getting the recommended amount of exercise keeps dropping. As of now, it has fallen by an average of forty percent which is quite alarming. Research shows that as children move on to primary school, they engage in physical exercises less frequently and this trend continues through their school life. 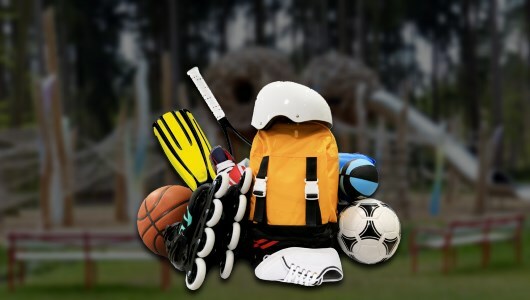 Seventy-two percent of children engaged in sports are more confident than inactive kids so if you are looking for ways to help your child in this sector, get them to exercise and await the results. Ninety-three percent of the children reached during the study stated that they enjoyed getting engaged in physical activity which shows that exercise is great for their mental well-being. The researchers wanted to know what drove children to get more active and fifty-three percent responded by saying that they liked having more players in the games while forty-eight percent derived their motivation from the range of activities in store for them. 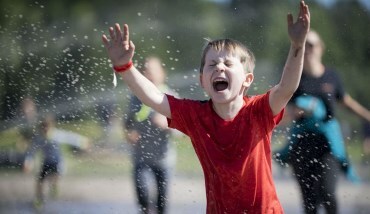 Nineteen percent of children stated that they lacked activities they could enjoy and thus preferred not to be active. The happiness levels of children between the ages of five to eleven varied considerably. At the age of five, sixty-four percent of the children were happy and this reduced to forty-eight percent for eleven-year-olds. The change in happiness levels is attributable to the reduction in the amount of exercise that the children get. As the saying goes, all work and no play makes Jack a dull boy, and it is necessary that school going children get into some physical activity. Our Public Health organization ventured into the reasons why exercise was so fundamental to a child’s development, and it came up with a range of exciting ideas. First off, children who are active in sports feel happier than those who do not and statistics proved that this was accurate seventy-nine percent of the time. Seventy-four percent of children who exercise are more sociable than those who do not, and this gets linked to how they learn to deal with conflicts and the ease of making friends in an unrestricted environment. Not engaging in sports leaves children vulnerable to gaining excess weight, suffering from joint aches and being less satisfied with life. There is a need for more exciting programs to get designed for older children who lack interest in the existing exercises. Some people have taken it upon themselves to spice up physical activities by coming up with new tasks. 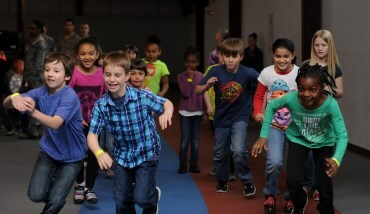 One such technique is the 10-minute shake ups program where Disney partners with schools in the country to make children enjoy exercising. With an increase in the range of activities available to children, we can only hope that the number of kids exercising will go up in the years to come. Kids should follow strict nutrition that provides them with suitable nutrients. 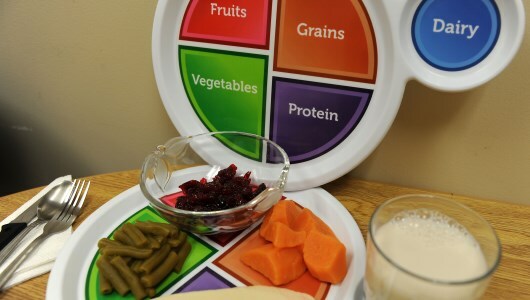 All their meals should be balanced both at home and in school, and it is the responsibility of schools and caregivers to ensure that kids get the right nutriments. I am not saying that kids should never touch a candy bar in their life. The key to doing everything is in moderation, and as such, now and then, they should get the chance to indulge their sweet tooth and enjoy the pleasures of life. Make sure that they eat enough carbohydrates, proteins, vitamins, and fiber as these nutrients go a long way in protecting them from diseases and they aid in body development. Schools must ensure that all kids engage in some form of physical activity to ensure that they maintain healthy weights. All the energy gained from consuming nutritious nutriments needs to be put to use to ensure that kids stay fit. At home, caregivers should restrict the amount of screen time that kids get so that they can play in the outdoors. If you lack enough space for them to play, you can take them out for walks. Whatever effort you put into their fitness levels will show over time, and you will have healthy happy kids. Exercise also helps them become better at schoolwork. With our help, our future generations will be more fit, and we will experience fewer cases of diabetes as well as other conditions associated with obesity. 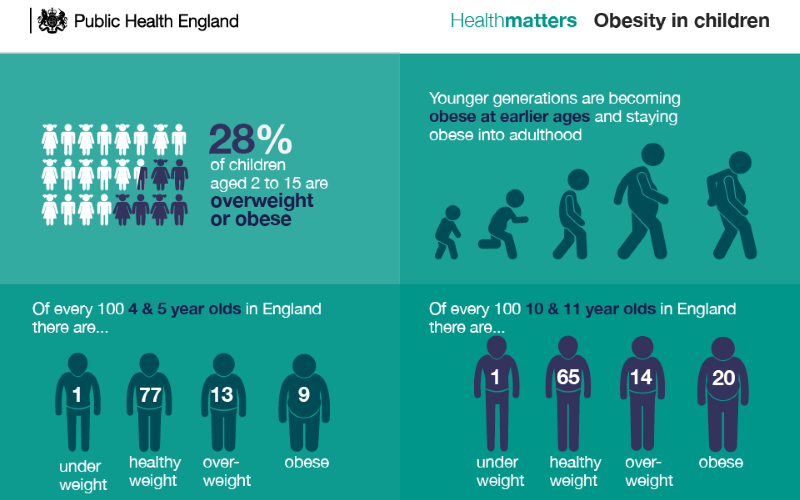 According to a study conducted in the year 2017, at least thirty percent of kids aged two to fifteen in the UK are overweight. Studies also show that there is an increasing trend where children get obese at very early ages and carry that weight long into their adulthood. For decades, Walt Disney Company has bettered the lives of children by providing them with entertainment that ranges from amusement parks all the way to movies. The Andrew Bingham Foundation (AB Foundation) is a distinct, not for profit organization, currently not accepting any form of donations. All text, artwork, photographs, layouts and other content made available on the AB Foundation website ("the Website") and associated intellectual property rights, including copyright, and are owned by the AB Foundation or used with permission. The content is provided to you for general, non-commercial purposes only. Although we endeavour to ensure that the content is accurate and up to date, the AB Foundation accepts no responsibility for loss or damages arising from reliance on information contained in the Website or other sites that may be linked to or from the Website from time to time.